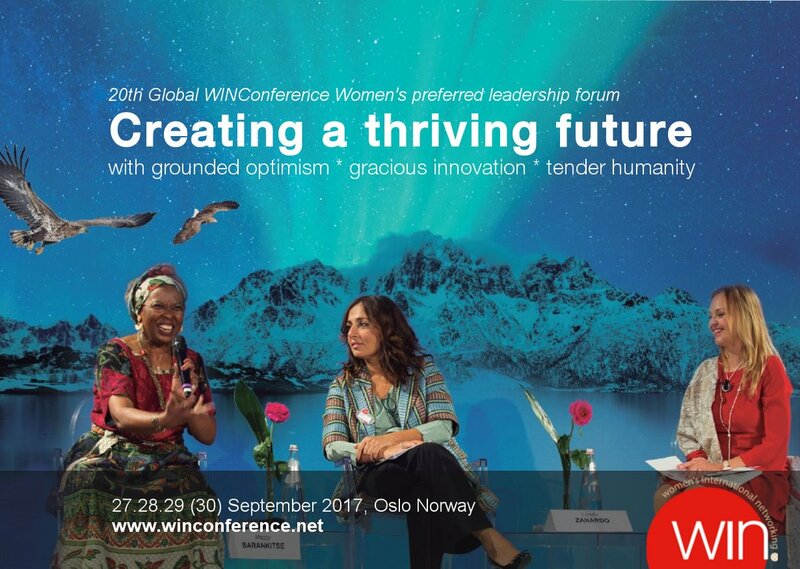 mYngle CEO Marina Tognetti will be presenting at the 20th Global WINConference that will take place between September 26th and September 30th in Oslo, Norway. 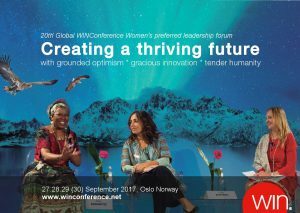 The Global WINConference is a 3+ day event organized by the independent global women’s leadership organization Women’s International Networking (WIN). More than 800 leaders from across the world are participating to discuss about one of the big topics in the business world today, that is the empowerment of women. The theme for this year’s 20th WIN meeting is “Creating a Thriving Future” with grounded optimism, gracious innovation & tender humanity. There are a lot of research findings that show how gender balance is beneficial to business, how through women’s leadership, companies do better and how diversity of thoughts and background stimulates innovation. Yet gender parity is still very far away. In this age of constant flux, the world requires new solutions to the challenges of our time, solutions that not only evolve companies but also humanity as a whole. Marina will contribute in the Innovation and Technology Forum on Day 2. Technology has changed the way we live and work and is the most powerful industry of our times, with unprecedented ability to transform and shape our future. Women must have a seat at that table if we are to Create a Thriving Future for all, but it is clear that there are big challenges ahead for women to create a space for themselves in a traditionally male-dominated industry. Marina will speak about her own experience as entrepreneur, touching on some of the key challenges of female entrepreneurship. The issue about female leadership is in fact amplified in tech start-ups: women are as innovative as men and companies run by women are as successful. Yet the number of female tech entrepreneurs is insignificantly low. Confidence, change, persistence: a different way of looking at leadership. One that better fits a new female model of leadership, and that can be equally or even more successful at the end. A different way of being a leader. And together with the other forum panelists, all women successful in the technology sector, they will discuss and try to answer some of the key questions about women in the tech world: What can be done to progress women’s careers in technology? Is there a place for ‘’feminine values’’ in the tech industry? How can women be active innovators in society and technology and play an active role as we shape the future in a positive way? Radisson Blu Scandinavia Hotel, Oslo, Norway. This entry was posted on Tuesday, September 26th, 2017 at 4:50 pm	and is filed under Myngle News, Uncategorized. You can subscribe via RSS 2.0 feed to this post's comments. You can comment below, or link to this permanent URL from your own site. Your comments will appear immediately, but I reserve the right to delete innapropriate comments.